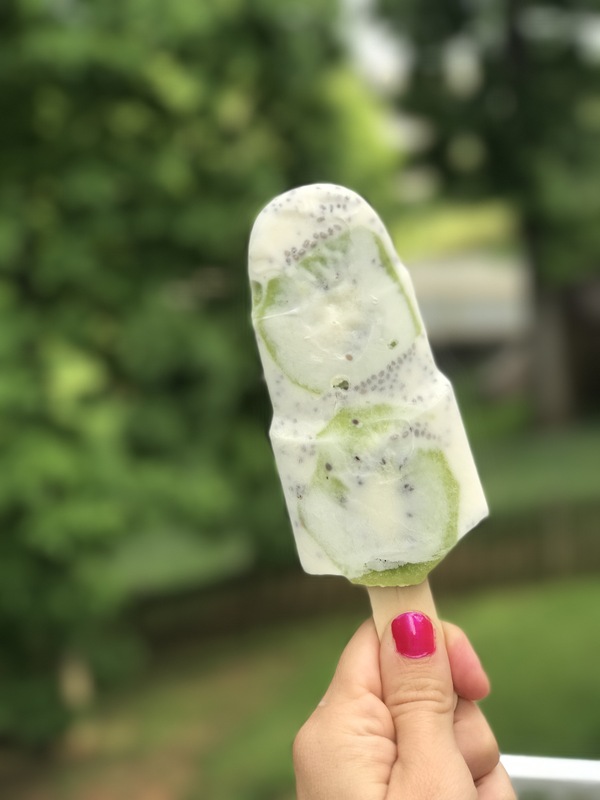 What better way to celebrate a long weekend than waking up to a refreshing yummy treat?! 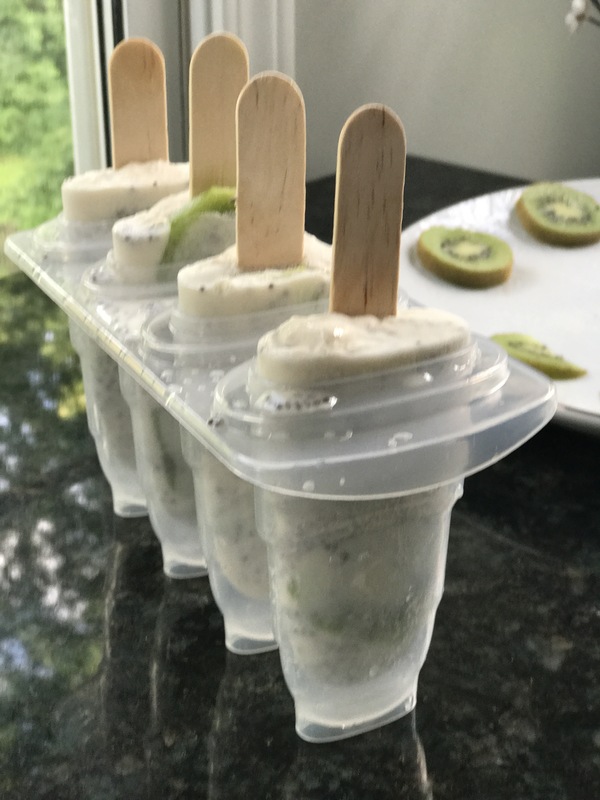 I made these popsicles yesterday with the hopes that they would turn out like the Pinterest picture. They look difficult to create, but let me tell you, they were so simple!! If you aren’t familiar with chia seeds listed in the recipe, you can now get the at Wal-Mart, but definitely at any natural food store. They are loaded with health benefits, two of the best being fiber and protein. They are one of my favorite super foods. I found popsicles molds at Wal-Mart and just opted to take out the plastic sticks that came with them. If I continue my popsicle making, I’ll definitely be ordering the mold linked in the recipe from Amazon. The recipe is listed below. I will add that if you want a little extra sweetness add 1 extra Tbsp of the agave syrup. The original recipe wasn’t quiet sweet enough for me! You can also find agave syrup in the baking section at Wal-Mart. Enjoy! Stir together coconut milk, soy milk, chia seeds, and agave syrup. If desired, add additional sweetened to taste. 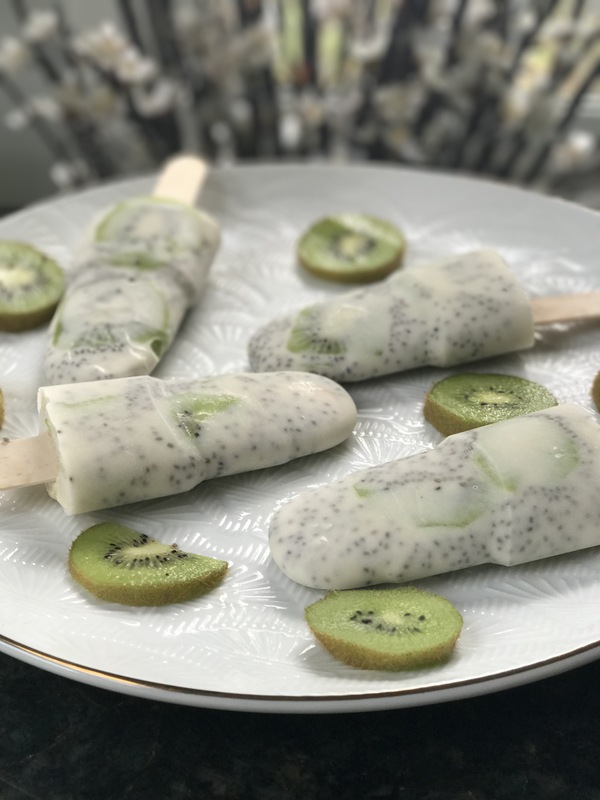 Place sliced kiwis in popsicle molds. 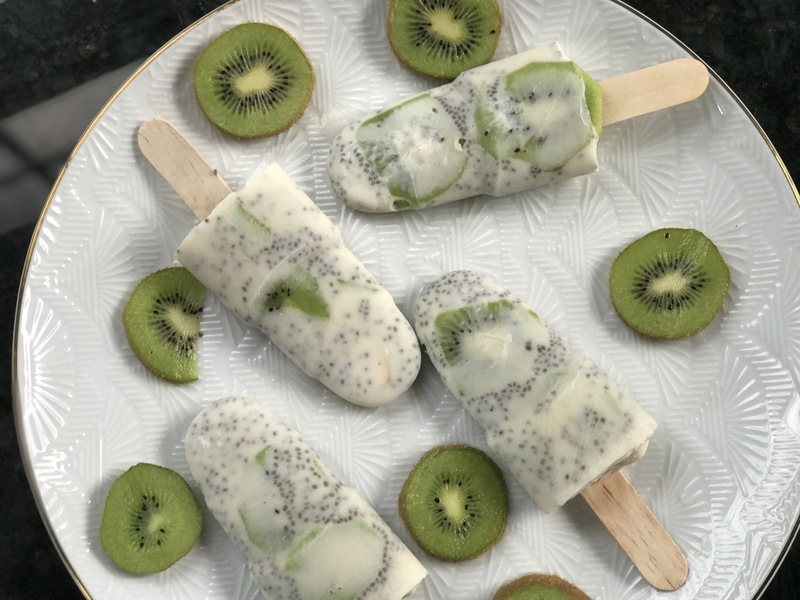 Use chopsticks or the back of a spoon to press kiwi to the sides of the mold. Gently pour liquid mixture into popsicle molds. Insert wooden popsicle sticks. 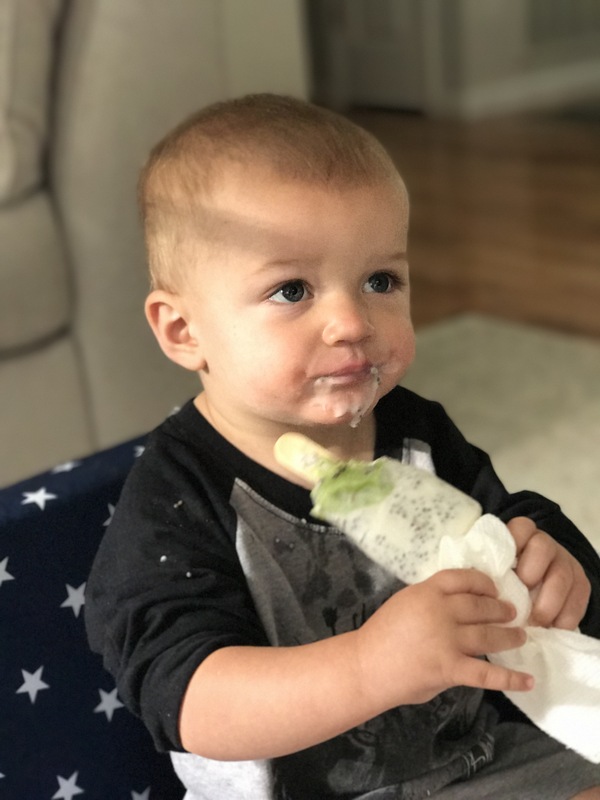 Freeze for at least 4 hours until popsicles are solid.